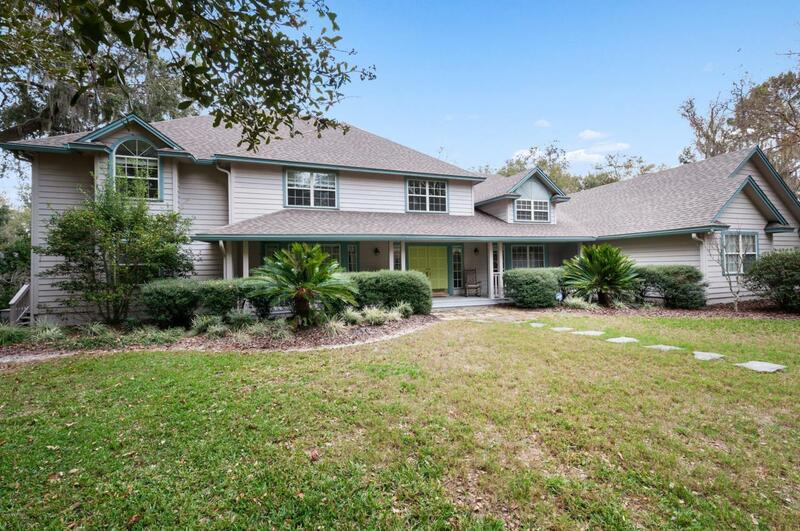 ABSOLUTELY STUNNING HOME ON LAKE SANT FE HAS IT ALL! THE FAMILY ROOM HAS BEAUTIFUL VIEWS OF THE LAKE THROUGH THE TWO STORY HIGH WINDOWS. THE HOME HAS A LARGE COVERED PORCH AND DECK ACROSS THE REAR OF THE HOME. THERE IS A PRIVATE DINING ROOM, LIVING ROOM, EXERCISE ROOM, LAUNDRY ROOM, PANTRY 3 CAR GARAGE AND SO MUCH MORE. ENJOY YOUR TIME ON THE LAKE FROM YOUR DOCK AND BOATHOUSE WITH LIFT. THE HOME ALSO HAS A PASTURE AND POLE BARN. A NEW ROOF IN 2018! ADDITIONALLY THERE IS A WHOLE HOUSE GENERATOR, STORAGE SHED, AND GATED ENTRY WITH PRIVATE DRIVEWAY.